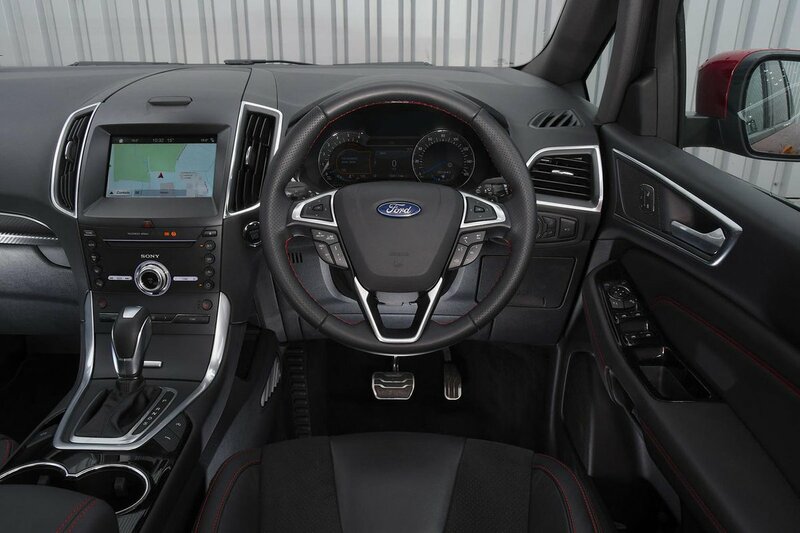 Ford S-Max Interior, Sat Nav, Dashboard | What Car? You sit slightly lower than you do in many MPVs, but it’s a matter of personal preference whether or not you think that’s a good thing. 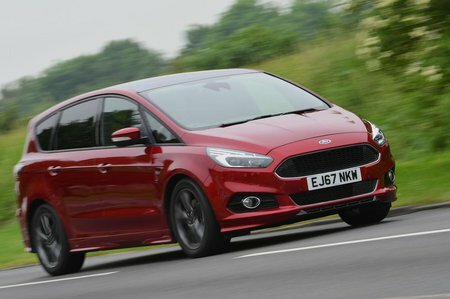 Some drivers will prefer the more elevated driving position offered by some rivals, while others will appreciate the S-Max’s more hatchback-like arrangement. Either way, there’s a wide range of adjustment to help you find a comfortable driving position, and you’re unlikely to suffer from backache on long journeys because adjustable lumbar support is standard across the range. As a bonus, the seat is more heavily bolstered than those in many MPVs, so it holds you securely in place through corners. Our only criticism is that the dashboard layout could be a bit more user-friendly; adjusting the air conditioning isn’t as straightforward as it could be. Forward visibility is excellent, thanks to slim windscreen pillars and a large glass area. Whether you’re pulling out from a junction or onto a roundabout, the blindspots are far smaller than they are in, say, a Vauxhall Zafira Tourer. The view out the back is more restricted, but it’s no worse than in most rivals. The deep windows and gently rising window line mean over-the-shoulder visibility is pretty good. This is still a big car, though, so you’ll be grateful for the standard front and rear parking sensors, while a front and rear-view camera is optional on Titanium models. The standard heated windscreen is a boon on frosty mornings, too. All models get an 8.0in touchscreen with a DAB radio, voice control and Bluetooth, as well as Apple CarPlay and Android Auto smartphone mirroring. Ford's Sync 3 infotainment system is fitted to the majority of its cars. 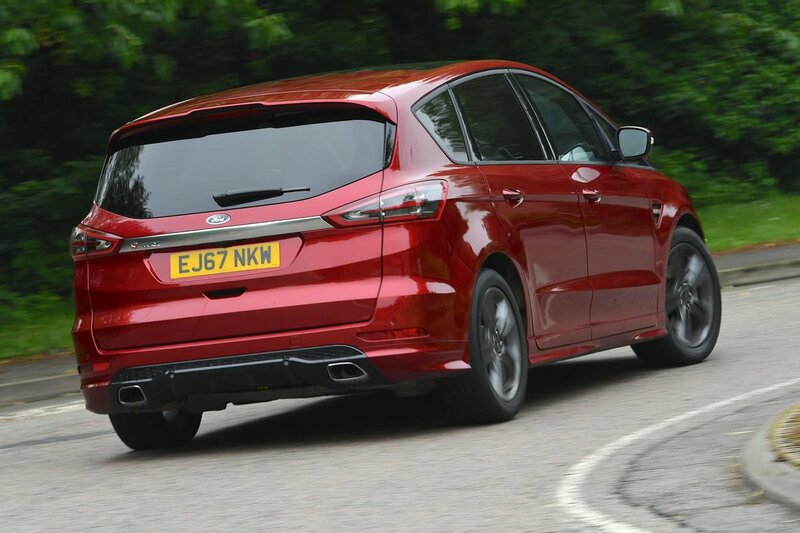 A built-in sat-nav costs extra on entry-level Zetec trim but is standard on Titanium and upwards. The screen is reasonably bright but shows up fingerprints, particularly when the sun is shining. The layout of the menus could also be more intuitive, while some of the icons are rather small and tricky to hit while driving. The voice control is activated by pushing a button on the steering wheel and is mostly effective, allowing you to select an artist from your USB-connected MP3 player or phone, make calls, select destinations or even change the climate control. Two USB connections come as standard, so charging your family’s phones shouldn’t be a problem. The S-Max isn’t a cheap car, yet its interior doesn’t look or feel as upmarket as you might expect. A Citroën C4 Spacetourer is classier inside, for example, while the Seat Alhambra and Volkswagen Touran also have a more premium-feeling interior. The S-Max stops short of feeling low-rent, but there are some poorly damped switches and a few too many hard and unappealing plastics on show. Even the matt-finish dash feels a little cheap next to the denser, more attractively textured materials you’ll find in some rivals. The top-of-the-range Vignale model goes some way to addressing this with soft leather on the seats and dashboard, but not by enough to justify its ludicrously high price.